Why San Francisco, a city known for its innovative thinking and environmental leadership, has been unable to save its official bird. Early on an autumn morning in San Francisco, a bird-watcher and part-time housepainter named Alan Hopkins marches through the gates of the botanical garden at Golden Gate Park. He&apos;s in search of survivors. As I trail behind, trying to dodge sprinkler spray, Hopkins listens intently for the staccato calls of the California quail. He knows the bird&apos;s 14 calls—the "Chi-ca-go" and "pit-pit" and "tuk-tuk-tuk"—by heart. He can tick off the colors of their plumage—their black-and-white faces and their chestnut flanks. He has admired the species for years, ever since a girlfriend introduced him to birding. 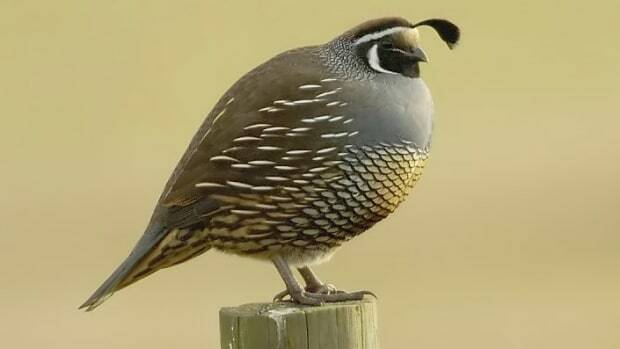 The quail is the city&apos;s official bird, a plump, adorable creature endowed with a goofy topknot and a skittering gait. From California natives onward, the species has long enticed admirers with its gregarious behavior. But today the California quail is on the edge of local extinction. The City by the Bay is about to lose its bird, but only a few people, including Hopkins, seem to care. A well-worn pair of binoculars hovers in front of Hopkins&apos; ruddy face as we crisscross the garden. He points the field glasses at a dense stand of Atriplex brush. No quail. He scopes out the cactus garden with its elegant aloes splayed in the sun. No quail. He looks under the redwood canopy near the garden&apos;s western edge. No quail. A garden employee asks Hopkins what he&apos;s looking for. "Quail," he replies, chuckling ruefully, like he already knows his efforts are fruitless. This is, after all, his fourth attempt in six months to find the elusive species. "Good luck!" the guy says. Walking away, he offers a suggestion: "Bring them women!" In 1900, quail were abundant across San Francisco, according to historical records. Some estimate that there were as many as 1,500 in Golden Gate Park alone. By 1986, there were still at least 140 birds across the city. Then they started disappearing. Today, in all of San Francisco, Hopkins and other birders say, there are only two male quail left. Hopkins spent the better part of a decade, beginning in the late &apos;90s, going to public meetings and participating in habitat restoration projects to stave off the quail&apos;s decline. He warned of feral cats and a fractured habitat. He launched a citywide "Save the Quail" campaign and made a racket in the public arena. He says he took time off work and put a big dent in his bank account. But his message failed to take hold. It even attracted opponents. The bird, meanwhile, remains on the brink. The reasons for the quail&apos;s decline are controversial. Everyone seems to have a different explanation. For Hopkins, however, it&apos;s simple. Habitat degradation, including brush removal, is one of the main threats driving the decline. The other is predation by crows, raccoons, cats, and more. In the summer of 2000, Hopkins, then the president of the Audubon Society&apos;s local chapter and leader of the newly minted Save the Quail campaign, took his concerns to city hall. The quail population had dipped below 40, and he wanted officials to name the species San Francisco&apos;s city bird. He hoped that high-profile recognition would ensure its survival. The plan worked, at least initially. A city supervisor sponsored a resolution naming the quail the official city bird and pledged support to Hopkins&apos; campaign. As the vote on the resolution drew near, however, cat advocates, including the powerful San Francisco Society for the Prevention of Cruelty to Animals, balked. Cats are known to prey heavily on birds, especially ground-dwellers, and conservationists saw them as a key player in the quail&apos;s decline. The SPCA and its allies believed Hopkins&apos; campaign was a cover for killing cats. At a series of meetings on the resolution, cat defenders arrived in force. And though the resolution eventually passed and the quail was named the city bird, Hopkins says his high-profile strategy was a big mistake. He says it inflamed his opponents, wasted time, and turned the quail into a controversial issue. After the outcry, Audubon, the SPCA, the San Francisco Recreation and Parks Department, and other agencies went through a tough negotiation about how best to protect the quail. Those talks produced a "Quail Recovery Plan for the City of San Francisco," published in 2004. The finalized plan was all but toothless: It discouraged the removal or relocation of predators, and gave the SPCA an effective veto over any such effort. With predation off the table, the Save the Quail campaign was forced to limit its focus to habitat restoration. It helped launch projects to remove invasive plants and plant native forbs and flowers that could help the quail survive. But restoration was not enough. The city&apos;s coveys continued to decline, and the Save the Quail campaign dissolved in 2008. We leave the garden and hike to a forested patch in the heart of the park. It&apos;s the next stop on Hopkins&apos; well-worn circuit. Quail used to visit here, back when it was thick with brush. But last spring a city crew hacked out much of the shrubbery, and now, Hopkins tells me, it&apos;s not suitable at all. He knows what the quail need: shrubs, plants, something to hide under—and this place doesn&apos;t have it. No need to linger. Beyond the California Academy of Sciences, across roads and fields, Hopkins arrives at the next destination. It&apos;s a narrow ridge where, five months ago, he saw his last quail. On that day the bird was making its bachelor call, a "cow-cow cow-cow cow-cow" that Hopkins reproduces as a series of falsetto squeaks and interprets as "Here I am. I am lonely." If we&apos;re lucky, we&apos;ll find one of those lonely bachelors, but mating season is over and that will make it harder. The guys have gone silent. As we walk, Hopkins peers under brush, looks for movement, listens for whirring wings. Then he gets philosophical. The quail&apos;s disappearance, he says, is no anomaly. "We are losing species here and there; habitat is becoming more and more fractured; it is sort of like things are just slowly disappearing," he says. "And they are disappearing so slowly that nobody really notices." It&apos;s hard to tell what is lost when a local species disappears, but consider the quail: The same lineage has lived in San Francisco since before the arrival of the Spanish. They are a legacy of the landscape. Hopkins believes they had their own culture: They knew where to find the good water sources; they knew the location of favorite foods; they had novel genes and habits. Their extirpation, he says, is the loss of that culture, the loss of a unique natural history. Matt Meshriy, a biologist with the California Department of Fish and Wildlife, puts Hopkins&apos; concerns in more scientific terms: "[I] think there is a great potential for the loss of unique animals there," he says. "In the simplest sense what you could be losing are unique allelic combinations in the genetic structure." We reach the ridge&apos;s peak. This is our last chance to see the lonely bachelors. Hopkins goes quiet and so do I, hoping, at last, to catch our quarry. We stop and listen. Suddenly, behind me, something rustles in the brush. I whip my head left, wishing I had brought binoculars, and stare into the shrubbery. There it is: a squirrel, nosing through leaves. Four times Hopkins and I have made this trip, and four times the quail have eluded us. It makes me wonder if the birds are dead already. Hopkins heads back to the botanical garden gate, where he started the tour. Our circuit is complete, though completely unsuccessful. He says goodbye and departs, his long gray hair tucked under a red cap and his hands resting on those old binoculars. He&apos;ll watch the birds on his stroll home, but there will be one species less to look for. 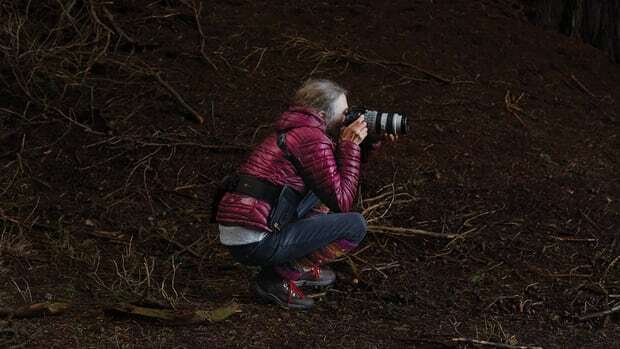 As more and more coyotes move into San Francisco's urban core, one woman is bent on teaching the city how to peacefully co-exist with the animals. 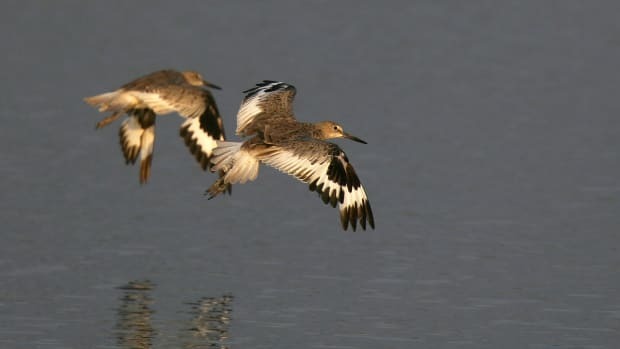 Concerned citizens, scientists, and conservation groups have joined forces to protect what stopover spots remain for birds migrating from South America to the Arctic. "I'm really into modifying behavior so that you're drawing invisible boundaries in a language that wildlife understands."